Has practising become a chore? Do you resent it? Time to re-think how you do it. Rumour has it that there are some guitar players who spring out of bed every morning excited at the prospect of putting in their daily hour our two of practising scales and chord progressions. For most of us, though, practising very quickly becomes dull. Boring, in fact. Sure, learning a new song is exciting, but scales, really? Yet we know if we're going to improve and become the player we desperately want to be, practising properly is the only option. So, with that in mind, here are six tips to re-invigorate your practice time and even make it fun. Practice for practice's sake really is no fun. And it's certainly not motivating. So set goals. Decide at the beginning of each week what you want to achieve and focus on it. It's all very well telling ourselves that we'll do at least an hour a day. Or that we'll try and do two hours a day. But life has a habit of getting in the way. The solution is diary practice time as you would an important appointment. Set a time you know you're able to stick to and put it in your diary or your phone's calendar, or wherever you keep appointments. Then commit to sticking to the schedule. It's all very well to stretch ourselves and be ambitious about the amount of time we spend practising and what we achieve from it, but too often it leads to dis-spiriting and de-motivating failure. So be kind to yourself. Be realistic about what you can do and what you can achieve. And if you don't achieve your weekly goals, don't beat yourself up about it. Just resolve to try harder next week. Not all practising has to be done with the guitar. Visualisation is an excellent tool for practising when you're, say, on a train or in a car (as long as you're not driving). Justin explains it very well in the video below. But the takeaway is that it means closing your eyes, visualising a fretboard and then 'seeing' your fingers moving from one position to another as you play a scale or arpeggio. Launching straight into a practice routine or a new song is common mistake. No matter how often you practice, your fingers won't be as nimble at the start of a session as they are in the middle and you'll make mistakes. Worse, you'll repeat the mistakes and they'll become a habit. The solution? Warm up. 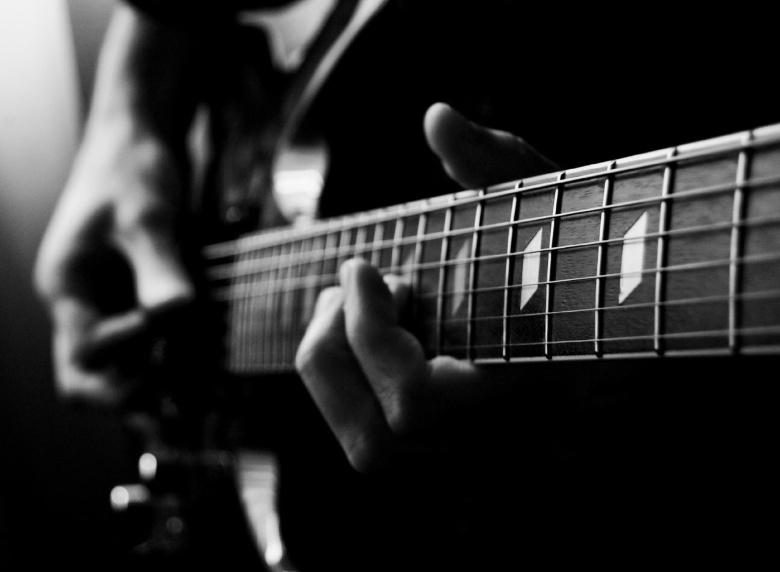 Do some finger stretching exercises before you even lay a hand on the fretboard. Then practice a couple of scales you know reasonably well, just to loosen those fingers up. Fatigue leads to mistakes and while you might feel fine after half an hour's practice, you're brain and fingers have started to tire and mistakes will creep in. So put the guitar down and leave the room. Go outside, breathe in the fresh air. Whatever you do, try and clear your head and let your fingers rest. That way, when you start again, you'll be fresh. Don't go overboard, though. Discipline is important. Limit yourself to five minutes at a time. Check out this video from Steve Krenz which has an excellent 30-minute practice routine.